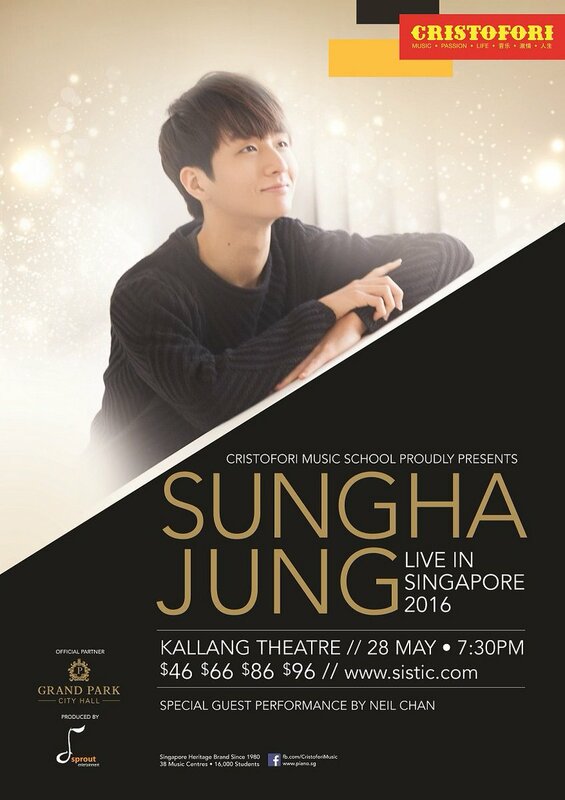 As part of his 2016 World Tour, Asia’s top guitar virtuoso Sungha Jung will return to Singapore for his sixth headlining show on 28 May 2016. Ticket Sales will commence on 5 February 2016. Sungha has long held an appreciation for Singapore music, and has helped put our music on the map by arranging and performing hits by JJ Lin, Tanya Chua, Kit Chan and Stefanie Sun over the last 4 years. These songs are included in his set lists whenever he performs in Singapore. In particular, his YouTube cover of Kit Chan’s home is the most-viewed instrumental version, having been seen over 350,000 times worldwide. Tickets to Sungha Jung Live in Singapore 2016 go on sale on 5 February at SISTIC. Grab your tickets soon to avoid disappointment. Tickets are priced between $46 and $96, and are available at SISTIC from 5 Feb through their website, phone hotline and physical SISTIC outlets. Cat 1 VIP ticket buyers can choose to top up $15 at payment for a meet and greet package that includes a 1 on 1 photograph and a complimentary CD album, entitled Paint It Acoustic. Get your tickets from SISTIC Singapore/events/sungha0516, or call 6348 5555 or visit SISTIC Outlets islandwide. For further information on the event, visit Sprout Entertainment.